When it comes to natural beauty and great outdoor destinations, few states can compare to Colorado. From the stunning vistas of Rocky Mountain National Park to the rocky spires of Garden of the Godsand the breathtaking views along the San Juan Skyway Scenic Byway, there is much to see and do there. One of the best ways to experience these settings is to spend a night camping under the stars, so if you need help choosing a spot, here are our favorite places to pitch a tent in the state of Colorado. 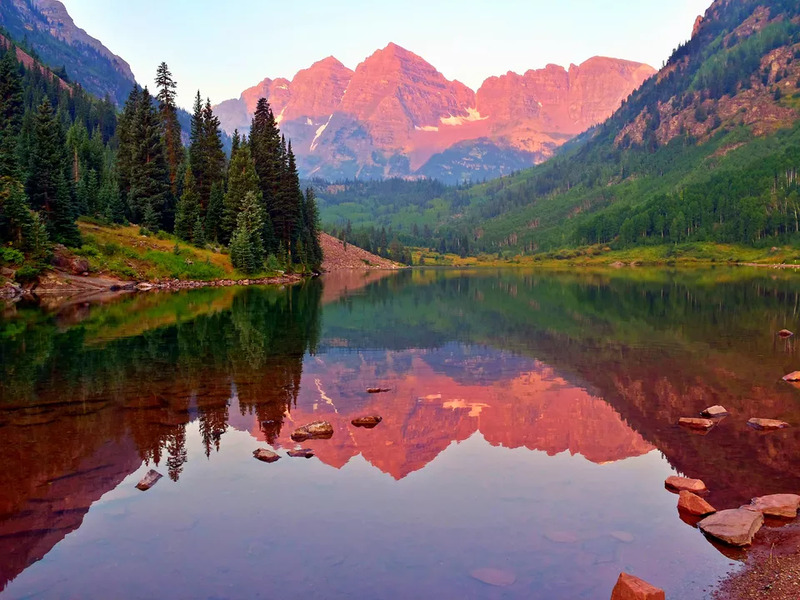 One of the most famous settings in the entire state of Colorado is the Maroon Bells, a pair of 14,000-foot mountains that are amongst the most photographed peaks in all of North America. Backpackers will find three campsites in the shadow of the mountain, each of which provides access to this spectacular setting, which includes Maroon Lake.And if you need to head to town for supplies, it’s not far from Aspen to collect what you need. For a very different camping experience travel to the Great Sand Dunes National Park. This is a destination that resembles the Sahara more than the Rocky Mountains, with towering dunes taking the place of snowcapped peaks. Pinyon Flats is the best place to camp inside this amazing setting and provides access to nearby hiking trails that cross through the 700-foot waves of sand. It’s even possible to go sandboarding here, creating a unique experience that is tough to top.